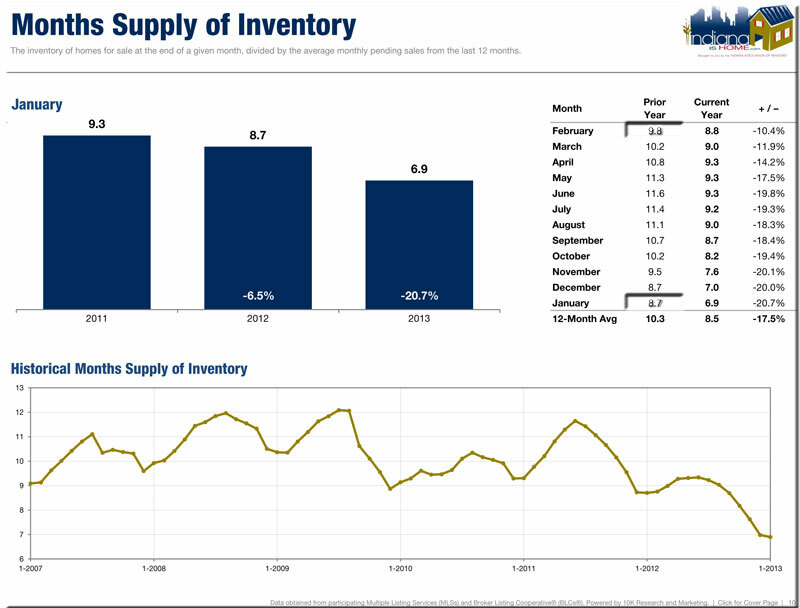 Inventory in the local real estate market continues to drop as more homes are sold and less are being added to the market. 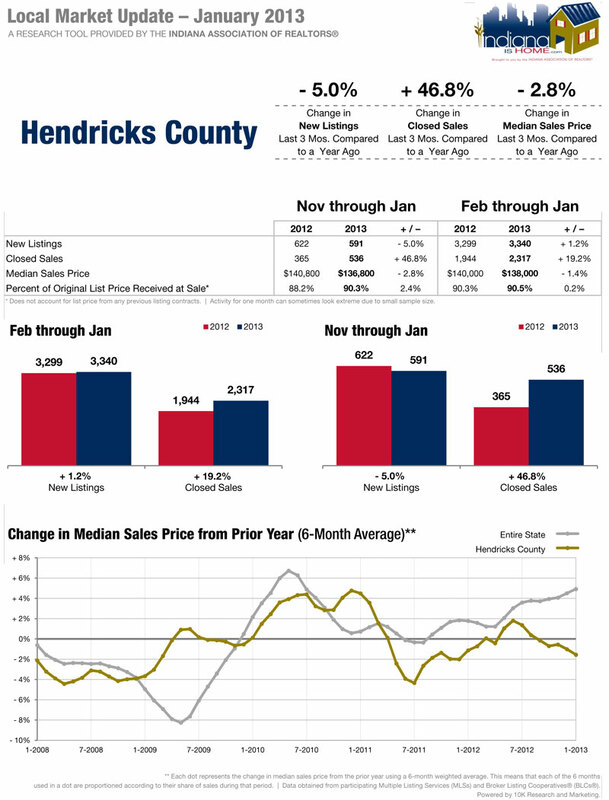 We are trending to a sellers market as sales continue to be very active in 2013. 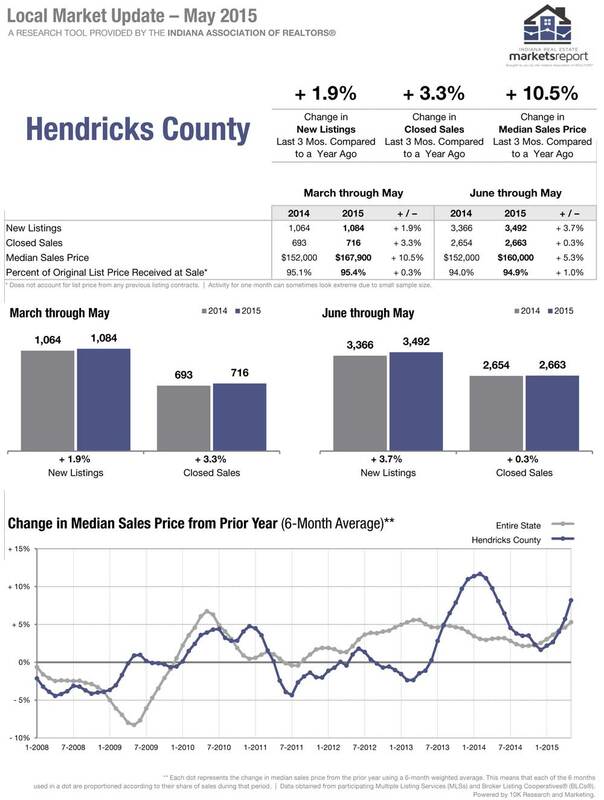 As you see in the reports below, Hendricks County is the lowest it’s been in several years, lower than the state average in the second report. Prices will soon be increasing as the inventory stays low. Call The Derrick Team if you are ready to sell as buyers are out there that want to buy now! When you are going to sell a home, you first need to determine how motivated you are. A motivated seller will listen to good advice and prepare the home to show well to encourage offers from buyers. The not-so-motivated will say, “They’ll just have to buy it and fix it up themselves”. What the not-so-motivated don’t get is they can expect a longer time to sell for lot less money. Before you look at a marketing report from your REALTOR be sure and think carefully about your motivation as that does effect how you price the property. Once you’ve received your marketing report with a range of possible listing prices based on solds, pendings, and the active competition in your area, look carefully at what sold / pended, as that is your target on what buyers are looking for. The actives are really for information only and should not be factored into your list price. Very aggressive – Must sell. Examples: Job relocation, health or financial reasons, divorce, or estate settlement. Aggressive – Would really like to sell but don’t have too. Examples: Need a larger/smaller home, would like to live in a different school district, want to live closer to your work/family, or ready to move to your retirement destination. Kicking the tires – Will sell under the right conditions. Examples: Interested in a different home on the market, tired of cleaning a large home, ready for a maintenance free condo. No matter what your motivation level is, do yourself a favor and get your property show ready. The feedback you want to hear is “home shows nice”. Those are the homes that sell quicker and for higher prices which is what every seller wants, no matter your motivation. 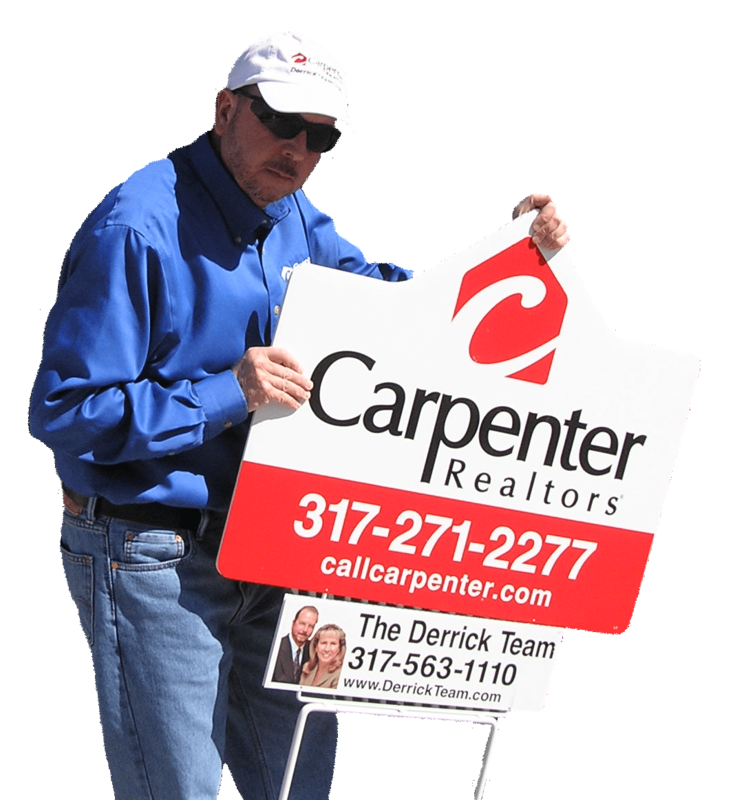 No matter what your motivation is, give The Derrick Team a call for a FREE no-obligation home market evaluation at 317-563-1110. In the first part we discussed the types of REALTOR®s in this area. Now as you interview agents, here are some of the things to ask to see how agents work for you to sell your property. What is all the information you will put on the MLS? How many pictures do you put on the MLS? Can I see some examples of pictures you used before? What do you offer as the BAC? What kind of print advertising do you do? 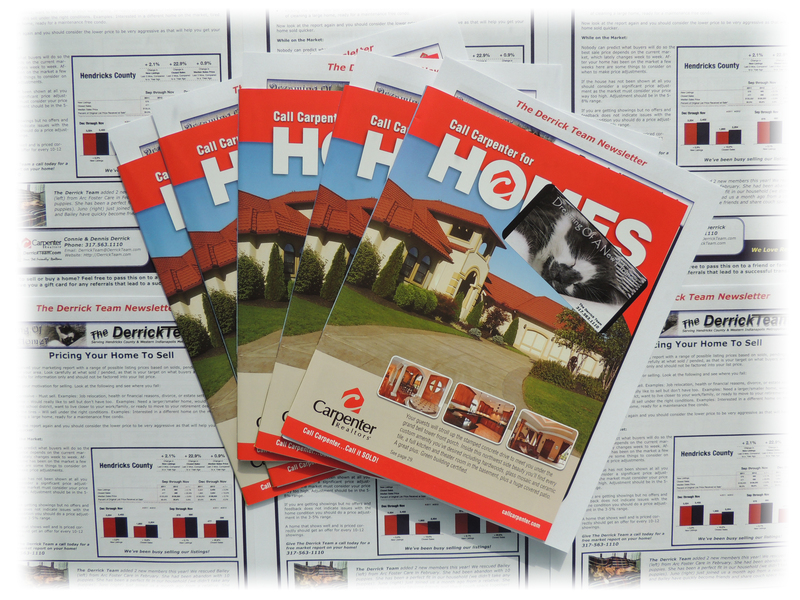 Do you distribute books or flyers with our properties information? Do you offer flyers for people driving by? How will you show our property? Is there someone else available for us to talk to if you are not available? Do you offer books with additional information for showings? Will you get feedback and follow up with agents who show our property? How often are you willing to do open houses? What kind of Internet marketing do you provide? What kind of Internet presence do you or your broker have? Do you provide Internet traffic reports on our property? Will you provide a dedicated web site for our property? These are just some of the things a good REALTOR® should be willing to do to help you sell your property. Be sure and ask for examples and give them some concerns you might have. If you don’t feel comfortable with all their answers, be sure to interview some more agents before making your choice. You want to sell your property and should want the best REALTOR® doing it! The Derrick Team would love to answer these questions and more as you go through your selection process. We feel confident that we can market your home with the best tools and more. 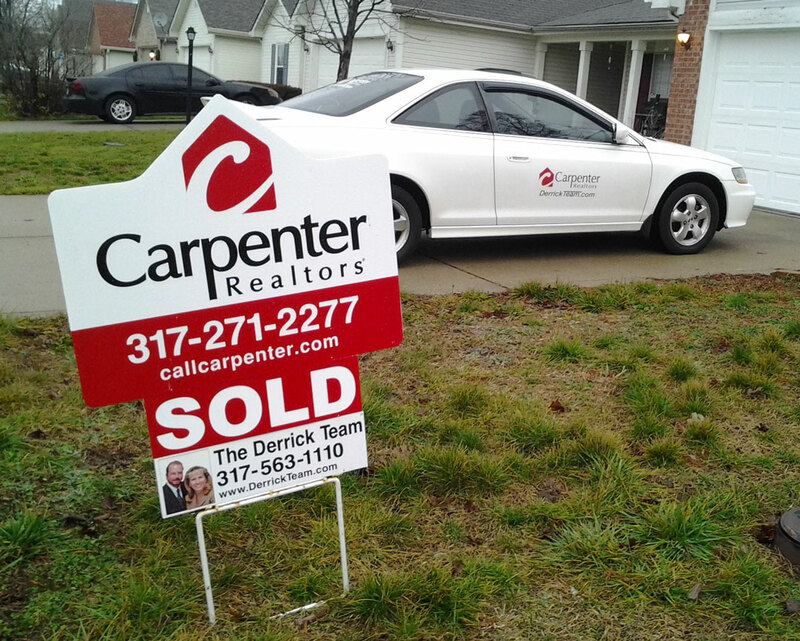 Give us a call or text today at 317.563.1110 to setup a no pressure, no obligation discussion on selling your property. We’ll do a free Competitive Market Analysis and give you tips on what your property needs to sell in the current market. So you are getting ready to list, or relist your property with a professional REALTOR®, here is a rundown on what to look for as your options. This is a company that charges a flat fee to provide you the services of a broker to assist you in selling your home. This is only an option if you are willing to do most of the work yourself. They do the minimum amount of work to place your home in the local Multiple Listing Service (MLS). After that you’re on your own to market, show, and hold open houses. You have to determine your BAC (what an agent who sells your home gets) which can determine how many showings you get. If your property doesn’t sell, you’re out their fee and all your time and money spent marketing the property. This is an agency where you will have an assigned agent to work with you to list your property and only charge you a discounted fee (typically 5 to 6 %) if your home sells. They will provide you the necessary service to list your home in the MLS, usually show your home or provide a method for other agents to show the home, and maybe even do some limited marketing. They might do open houses if you request it but probably won’t offer that willingly. They will list on the MLS at a reduced BAC rate depending on what the commission is set at, which can sometimes impact the amount of showings. The better ones will offer some extra marketing such as virtual tours but don’t count on it. This is an agency where you will have an assigned agent to work with you to list your property and charge you a fee based on several factors for the area (typically 7 % or more in the metro west area) if your home sells. They will provide you the necessary service to list your home in the MLS, show your home and provide a secure method for other agents to show the home, and will do much more marketing. They typically will provide a improved web search ability to help sell your home on the Internet (where 90% of buyers start their home search) and some additional print marketing such as flyers and books for potential buyers to have. 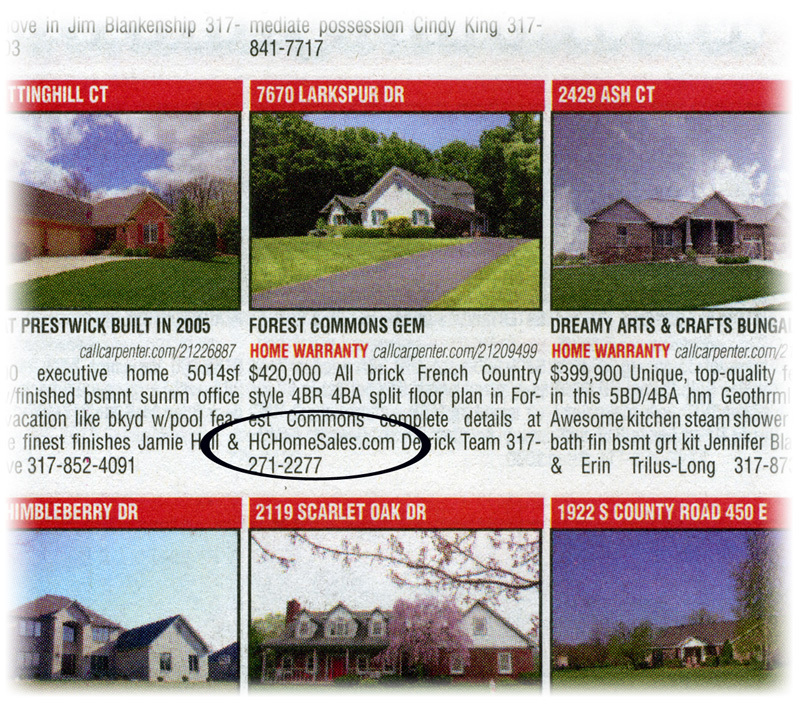 Most will have their own sections in the newspaper to advertise homes and open houses. They will offer the highest BAC which draws other agents to show your property. And most will offer to do open houses if you want. Listing Service: Flat fee, home on MLS, sign in yard (you pay for it), show the home yourself, you pay out the BAC, out time and money if home doesn’t sell. Discount Broker: Lower commission, home on MLS, sign in yard, take care of showings, lower BAC, some marketing and maybe open houses. No charge to you if home doesn’t sell. Full Service Broker: Standard commission, home on MLS, sign(s) in yard, take care of showings, offer attractive BAC, extensive marketing and open houses. No charge to you if home doesn’t sell. They will work the hardest to sell your property as they will put more time and money into selling your property and will get nothing in return if they don’t succeed! The market for selling homes is very competitive, especially in this current economy. You need to compete with homes being marketed by Full Service Brokers. Is it worth the risk to try saving a few dollars in a large financial transaction when there is so much at stake? 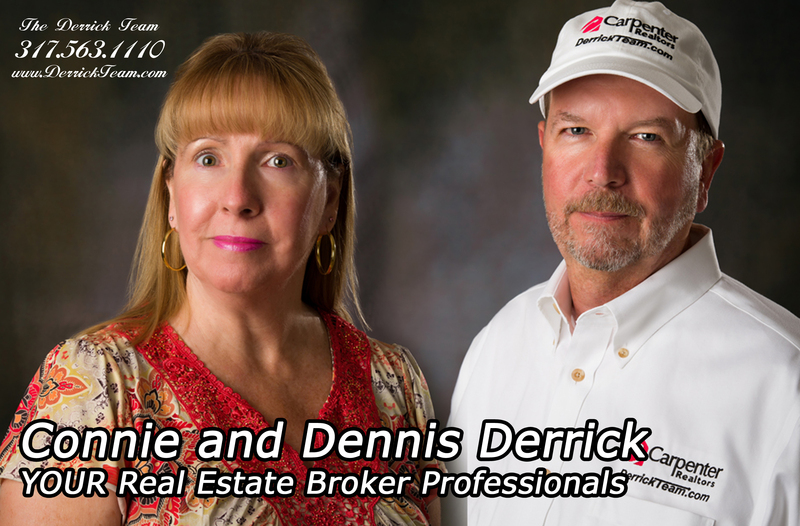 Contact your Full Service (and more) REALTOR®s, The Derrick Team today to find out more what we can do for you. Call or text 317-563-1110 anytime, we work 7 days a week, evenings too. This landmark in Avon has a long history and is located on 625E just west of Stratford of Avon, this 3 story home has 4800 sq ft of living area plus a large basement. The 70 acres that belonged to Rockwood were purchased July 30, 1907 for $2,500 by Drs Thomas J. Beasley and Harvey A. Moore who planned to produce the finest treatment for tuberculosis patients which was a serious disease at the time. About 20 physicians and Merchants National Bank in Indianapolis were financial backers of this enterprise as everyone saw this as a breakthrough method of treating TB. At the age of 26, Dr. Beasley was director and president of Rockwood and he was already well-known in the early 1900s for his successful treatment of TB. Patients at Rockwood endured the cold winters living in small unheated cottages with “window sides,” that were opened while patients slept. The idea being the cold fresh air was important to treat the disease. The accepted practice of the time was to send patients to hot, dry, western states and Dr. Beasley as saw this as too outlandish. His idea was to treat patients in the climate in which it was originally contracted and he thought the clean country air in Avon was a perfect place for treatment. Rockwood produced nearly all its own food and patients were provided full, balanced meals plus extra meals of raw eggs and fruit. All the vegetables, meat, and dairy products including the maple syrup came from the rich farmlands in the “White Lick Valley,” which Rockwood owned. Ice for summer use was cut from Whitelick Creek and stored in sawdust. Charges for a double cottage were $18 a week and $25 a week for a private cottage. Much can be done by private sanitariums on a small scale. 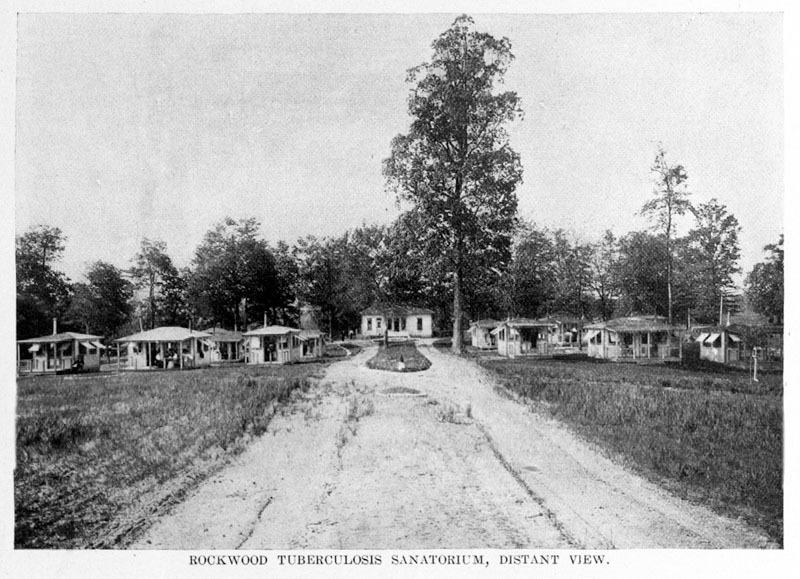 The Rock wood Tuberculosis Sanitarium near Danville Indiana, eighteen miles west of Indianapolis is built upon the bungaloo style posts and a roof with properly adjusted screens. The results have been excellent while the prices are moderate not more than half as much as the cost of a trained nurse and physician. The State Commission would do well to study the method of construction and care taking of the Rockwood sanitarium as an example of the simplicity economy and success of the Bungaloo system. But all was not well. The initial mortality rate of TB patients at Rockwood was extremely high; 34.9 per cent died in a one-month period. Those statistics couldn’t have helped the sanitarium’s reputation. Around the same time new drugs and vaccines made recovery quicker and the need for long therapy the sanitarium provided was lessening by 1910. So advances in treatments doomed Rockwood’s success and it closed it’s doors and was sold in 1913 just 6 years after is opened. After it closed in 1913 Charles and Violet Isaacs purchased the property west of CR 625E which has the original three-story building that was the recreation center and living quarters for Rockwood’s interns, nurses and servants (center of 1900’s photo above). The building was a mess and they lived in the servants quarters while they fixed the home and added the south and north wings of the current home. Most of the cottages were purchased and moved off the property but 2 old outbuildings are still there on what is now a 3 acre lot. 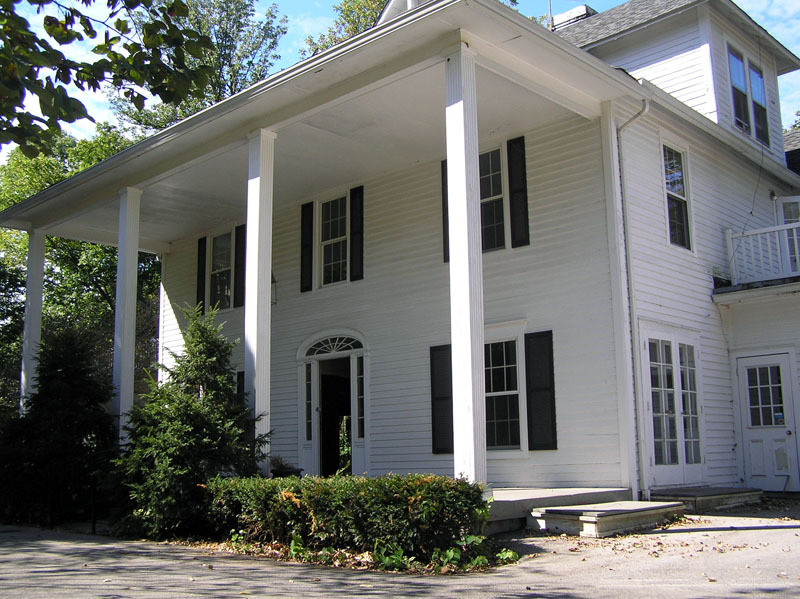 If you would like to find a classic local home give The Derrick Team a call today at 317.563.1110. Bottom photo from The Hendricks County Historical Society archives.